A migratory bird can predict its own future, and this crystal ball-like indicator can be found in its genes. 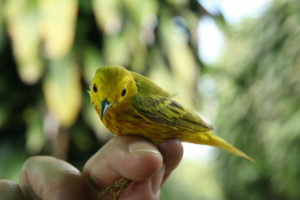 In a study published Thursday in Science, biologists at the Center for Tropical Research found certain genetic traits in yellow warblers can gauge how well they will keep up with the pace of climate change. All animals evolve and adapt, but using genomics to spot the ones most suited for survival to tomorrow’s climate could help conservationists enact effective protections today. What the scientists did. 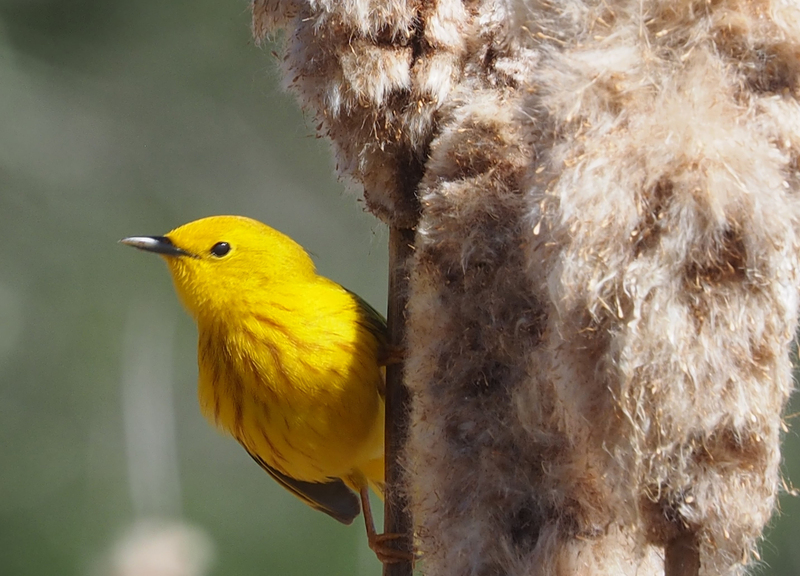 The team, led by University of California Los Angeles biologist Rachael Bay, crowdsourced blood and tissue samples from museum collections and researchers across the yellow warbler’s geographic range. Their sample included a variety of habitats — marsh, forest, and urban areas — extending from California to northern Canada and Alaska. They analyzed DNA from the birds to see if connections already existed between their genetic traits and their environmental location. What they found. The team found some genes are closely linked to the warblers’ habitat and others weren’t, a key factor in their adaptability. For example, warblers live up and down the West Coast — from southern California’s dry climate to the rainy states of the Northwest. These locations experience a broad spectrum of rainfall levels. Bay observed genetic traits in warblers living in wet climates that were not present in warblers living in dry climates — suggesting a link between precipitation and genetic variation. In other words, certain genetic profiles match certain areas. That’s the problem. Bay’s team found many yellow warblers are already impacted by climate change. Some populations have declined faster than others in recent years because their genetic profiles require huge shifts to keep pace. The team described those populations as having high “genomic vulnerability.” And after precipitation, temperature had the next biggest impact on the warbler’s genetics. Unlike precipitation, other factors — like elevation and landscape vegetation — did not appear to be linked to genetics. Why it matters. Current conservation practices consider environmental factors, like tree loss, when deciding the best habitats to protect. 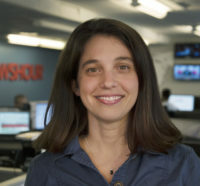 But Bay said using genomic vulnerability to predict a species’ response to climate change could fine-tune how scientists protect a species.